Like cars, Lawn Care Equipment has a stigma hanging over it that battery power means inferior power. Drop a Tesla in “insane mode” and you’ll realize how absurd that notion is. Battery powered technology has caught up with it’s gas guzzling brethren and in some places exceeded it. 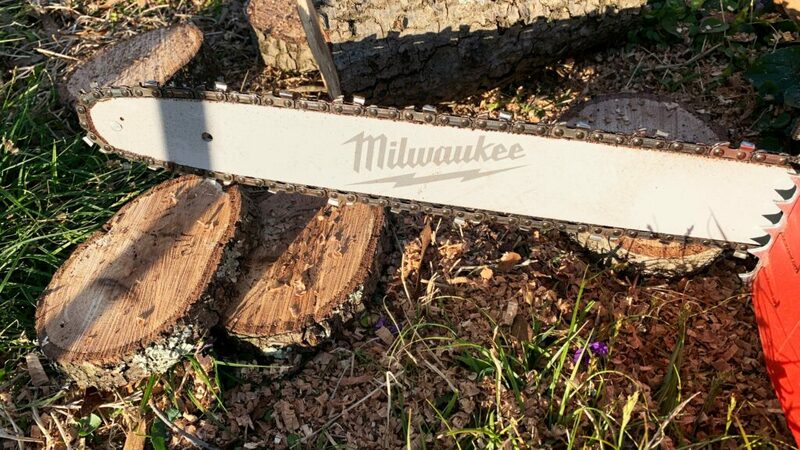 I’m here to tell you that the Milwaukee Outdoor Power Equipment line is no exception to the rule! *This review is part of the Home Depot Pro-Spective Tool Review. Want to see more Pro-Spective Reviews? Check out the Pro-Spective Feed! You might not remember or you might be new here, but this isn’t my first dip into the battery powered Lawn Equipment realm. I’ve tested and reviewed Ryobi’s 18v and 40v outdoor lines in the last couple years. 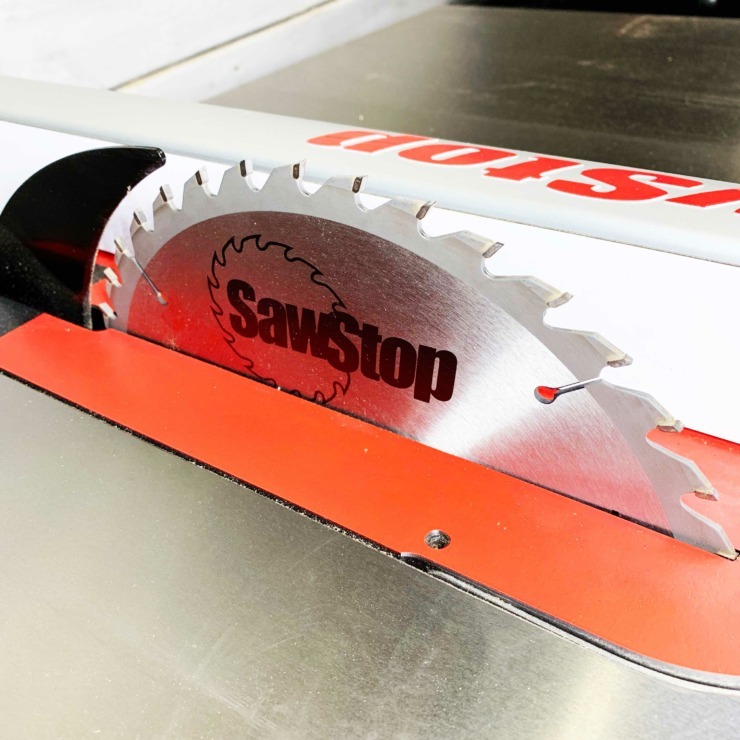 It’s no surprise that you’re starting to see more and more of your favorite Power Tool battery platforms entering the Lawn Equipment arena. After all, you’ve already got the batteries. Why not make your preferred brand a one stop shop for all your work inside and around the house? Much like the power tool industry, while Ryobi’s line is more geared towards the casual user… Milwaukee’s M18 line is meant for the professional. And it shows. 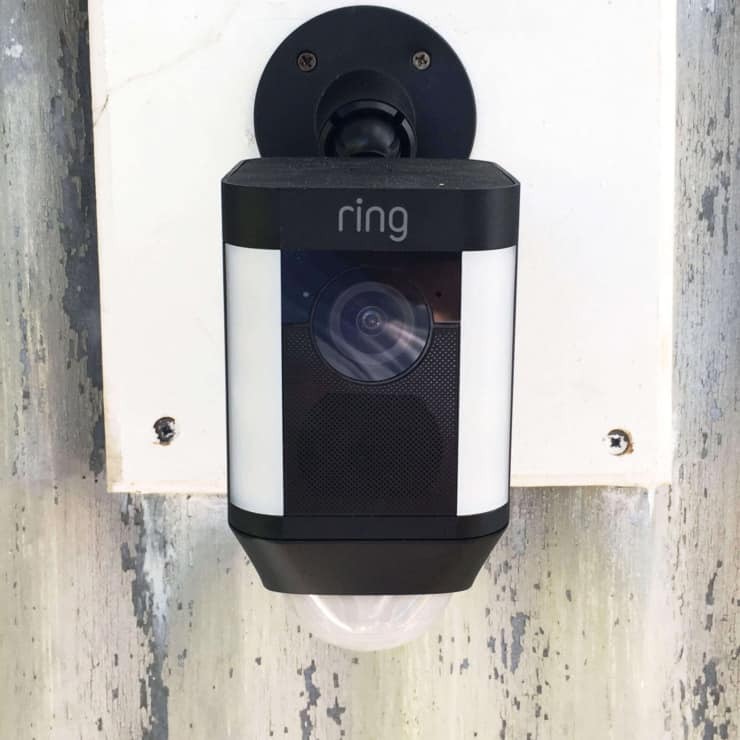 Since you’ve clearly drawn a line in the sand with your battery platform and your power tools, companies want to make the equipment choice easier (sort of). You’re seeing more and more of these interchangeable power bases now, which lets you buy only the attachments you need. While Ryobi used “Expand-It”, Milwaukee uses “Quik Lok”. One power head drives a String Trimmer, Hedge Trimmer, Pole Saw and Edger. Simply snap in and go with whichever attachment you need at the time. The convenience of only needing to haul one tool with various attachments is a major upgrade to having to transport individual lawn equipment to each job. Pull the trigger on a gas powered string trimmer and there’s a slight delay as the fuel injects, the motor fires and the cutting head gets up to speed. It sounds like the dirt bike from hell and it only gets worse. 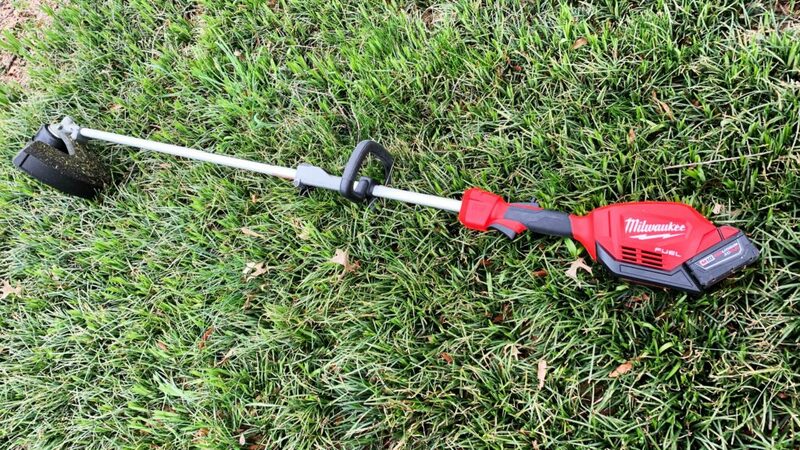 Battery powered string trimmers are eerily silent aside from the whir of the cutting head. For years I used a massive Stihl gas powered trimmer for yard work and very recently Ryobi’s 18v and 40v lines. Aside from my ears ringing from the Stihl, I’d get a numbness in my arm from the vibration coming off those gas and battery powered models. 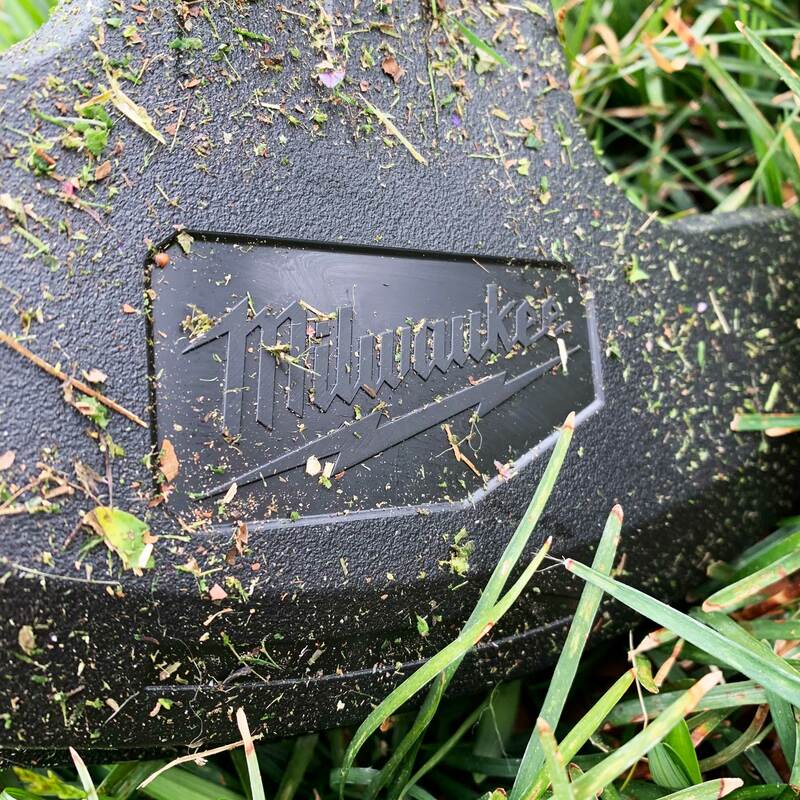 I chalked it up to the cost of weed eating, but not with the Milwaukee. You’re getting a smooth rotation with little vibration and a ton of power. Hit the button to increase the rotation speed and you’d expect some turbulence. Nope, the Milwaukee String Trimmer is one of the most comfortable experiences I’ve ever had during my assault on weeds. Bonus points for how long the trimmer set up is as well. At over 70″, it’s 5″-6″ longer than other models I’ve tested and my back thanks me. With a 9.0 Ah battery and a 14″ to 16″ cutting capability, you’re looking at about an hour of run time with this beast. But how did it cut? I ran it through the thickest stuff I could find on my first lawn maintenance day of the year and finished in record time. 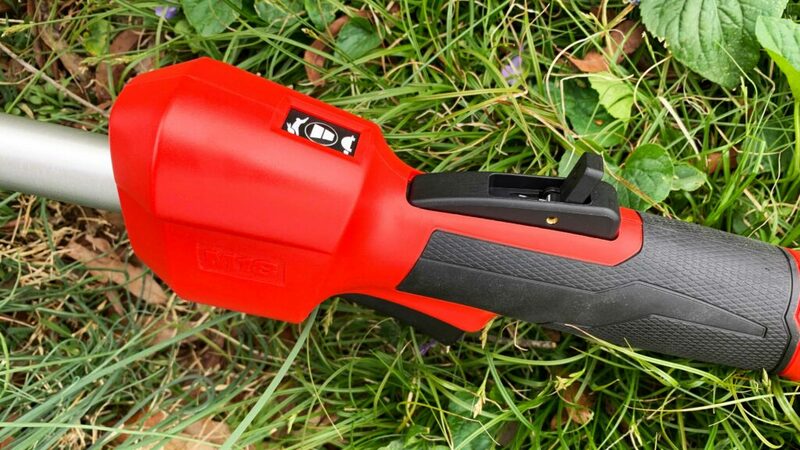 It’s no wonder the Milwaukee M18 Series is the choice for Professionals looking to join the electric revolution. Oh, we’re not done. Remember the Tesla comparison above? Give it a little go juice and it takes off like a rocket with no delay? The same is true with an electric chainsaw. Think old school turkey carver on steroids. 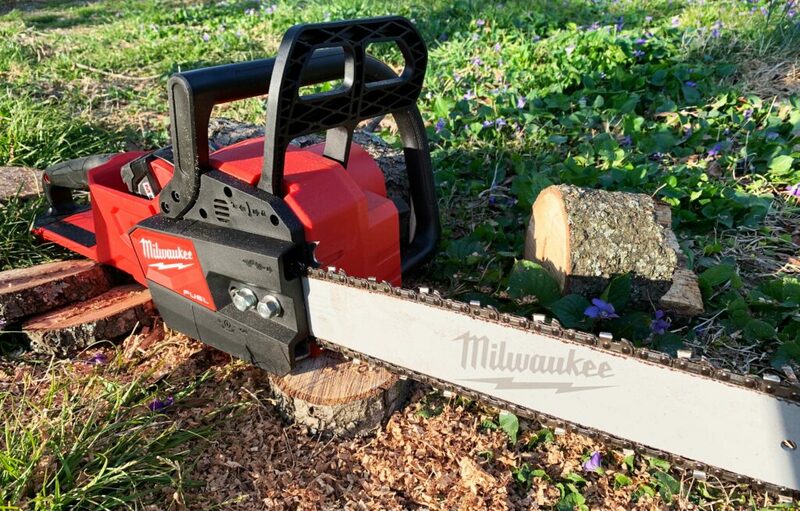 The Milwaukee M18 16″ Chainsaw has no trigger delay or in hand torque which means you have more control and immediate cutting power. I recently put the Milwaukee chainsaw head to head with Ryobi’s 40v Chainsaw and the results were similar despite a smaller battery. 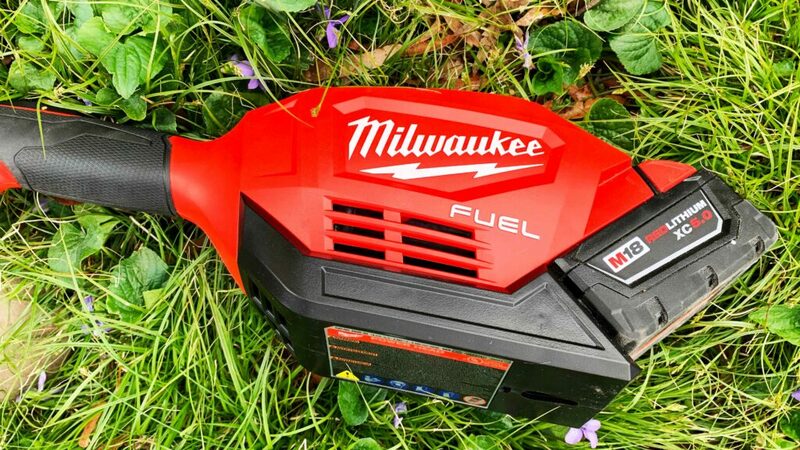 Milwaukee claims 40cc similar power and I think it’s justified. It’s easy to get derailed with the lack of noise pollution a gas powered chainsaw gives you to think you’re being shorted on power, but it’s very comparable. The only concern I’d have if I was an arborist is if you’re running a 12.0 battery you get about an hour of use or 100 cuts. That’s plenty for most people, even lawn care professionals. But if you spend your day up in the trees, it might not be enough run time. However, running all your equipment on the same platform and cutting down on the noise is and asset to any lawn care business. Especially if you work in a community with noise ordinances. Can’t get enough Milwaukee “nothing but heavy duty” tools? Check out the Milwaukee Tool Review Feed! *This post has been sponsored by The Home Depot. I have been provided with product and compensated for my time in exchange for my opinion on these products. My opinion is my own.